Established in 2004, Marber International Trading Co., Ltd. has been distributing contact lenses and accessories in the U.S., Europe and the Middle East. As a full service importer and distributor, Marber International has set the standard for quality service, extraordinary value and a commitment to customer satisfaction. 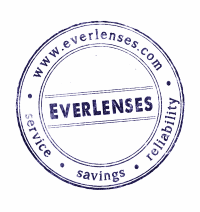 With the introduction of EverLenses.com, Marber International now offers the same quality of service and product value direct to consumers. Offering some of the lowest prices online for contact lenses and Free Shipping on every order, Ever Lenses is dedicated to providing the best contact lens purchase experience.